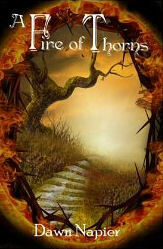 A quest for revenge becomes a very different sort of journey for a halfling female named Tiz. She will travel through the Many Kingdoms and the worlds beyond in this second installment of the Many Kingdoms trilogy. Tiz is driven from her burrow by thieves who slaughter her mother and sister out of what appears to be nothing but prejudice and hatred for her halfling race. After finding and interrogating the first of the murderers, she discovers that her sister still lives in the care of strangers. Her quest for justice becomes a rescue mission; then it becomes something else entirely as she and two companions are transported back in time to save a special little boy with whom Tiz's sister shares a common destiny. Not only will the boy bring light and salvation to the people of the Many Kingdoms, but he will teach Tiz some very valuable lessons about the healing nature of love and the value of forgiveness.